Zcash made headlines recently when Tyler and Cameron Winklevoss announced that Gemini would soon be adding support for the privacy-centric cryptocoin. Zcash is set to go live on Gemini on Saturday, May 19th. But even after Gemini lists Zcash, you still won’t be able to use your credit card to invest, because Gemini currently does not support credit card purchases. Keep reading to learn all the best ways to buy Zcash with a credit card. If you’re looking for a quick and easy way to buy Zcash with a credit card before it goes live on Gemini, Changelly may be your best option. Though Changelly’s fees are high, it’s much easier to use compared to most other crypto exchanges because it’s one of the few exchanges that supports credit card buys. Another convenient thing about Changelly is that if you already have a Gemini account, you can buy Bitcoin on Gemini and then use your Gemini Bitcoin wallet to exchange your Bitcoin for Zcash. Most other exchanges require you to go through a more involved process to trade Bitcoin for Zcash. Many other notable crypto exchanges support Zcash, including Kraken, Poloniex, Bittrex, ShapeShift, Bitfinex, Bisq and several others. However, none of those exchanges support credit card buys. As a result, in order to use your credit card to buy Zcash through those exchanges, you have to go through a multi-step process that involves buying Bitcoin on an exchange that supports credit cards and then transferring your Bitcoin into whatever exchange you want to use to make your Bitcoin-for-Zcash exchange. Unfortunately, Bitstamp, CEX.IO, CoinMama and other crypto exchanges that do support credit card purchases do not support Zcash. Though it is possible to buy Bitcoin with one of those exchanges and then transfer your Bitcoin funds to Kraken or some other exchange that supports Zcash, it’s a complicated path to take. Unless you want to buy an extremely large amount of Zcash, it’s not worth it to go that route due to the extra time and effort involved. Before you use Changelly to buy Zcash, you should know that Changelly is really only suitable for casual investors who want to buy small amounts of Zcash. Changelly’s high fees make it a bad choice for serious traders and investors seeking to make large cryptocurrency purchases. Changelly’s base commission fee is 0.5%. On top of that, Changelly charges a 5% credit card fee. 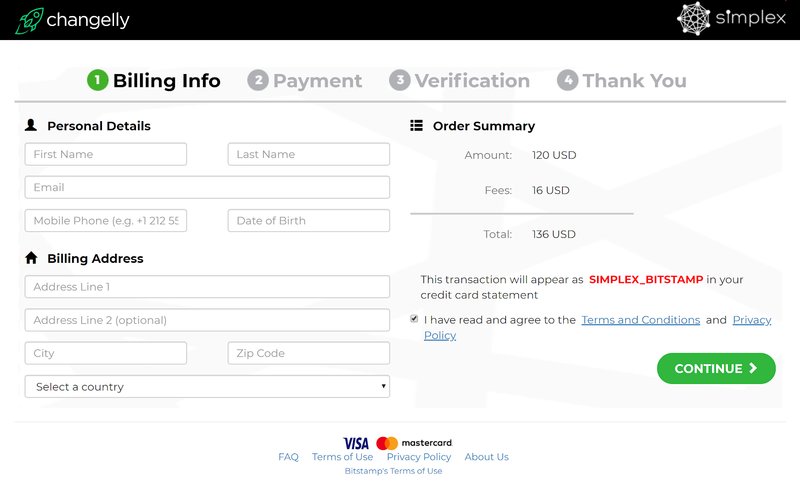 Changelly’s credit card processor, Simplex, charges an additional 5% fee to process your credit card payment. In addition to those fees, Changelly doesn’t give you the best prices when you exchange. Because of that, there’s an additional hidden fee built into every Changelly purchase. 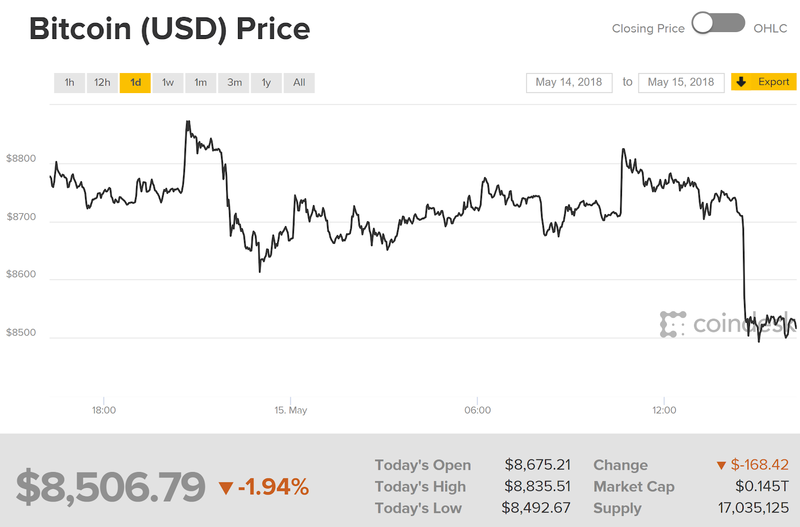 At time of publication, the price of Bitcoin was $8,506.79 USD according to CoinDesk. CoinDesk calculates the average price of Bitcoin by averaging all the major cryptocurrency exchanges together. But that’s not the price you’ll get if you buy Bitcoin using Changelly. If you type $8,506.79 into Changelly, you won’t get a full Bitcoin. Instead, you’ll get a fraction of a Bitcoin– 0.98080131 Bitcoin, to be exact. If you do the math, you’ll see that there’s an additional charge of 0.01919869 that you have to pay when you buy an entire Bitcoin using Changelly. Changelly’s hidden fees are only worth worrying about if you’re moving a large amount of money through Changelly. If you only buy $100 USD worth of cryptocurrency through Changelly, you’ll only pay around $2 in hidden fees on top of a $10 fee for using your credit card. If you buy an entire Bitcoin, however, you will wind up paying several hundred dollars in fees. 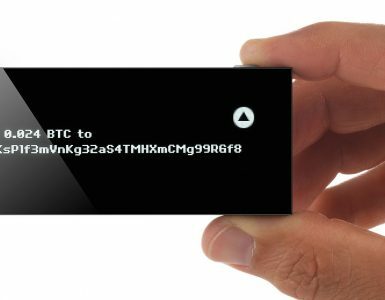 Before you can buy Zcash, you need to create a cryptocurrency wallet that supports both Bitcoin and Zcash. Freewallet is a good option. Anyone can quickly set up a Freewallet account in minutes. Once you create an account, just choose ZEC from the menu on the left to view your Zcash deposit address. In order to buy Zcash with a credit card using Changelly, you’ll need to first buy Bitcoin. If you’re using Freewallet, you can find your Bitcoin deposit address by clicking BTC from the menu on the left. Now that you have all the necessary wallets, you can move onto the next step: buying Bitcoin. 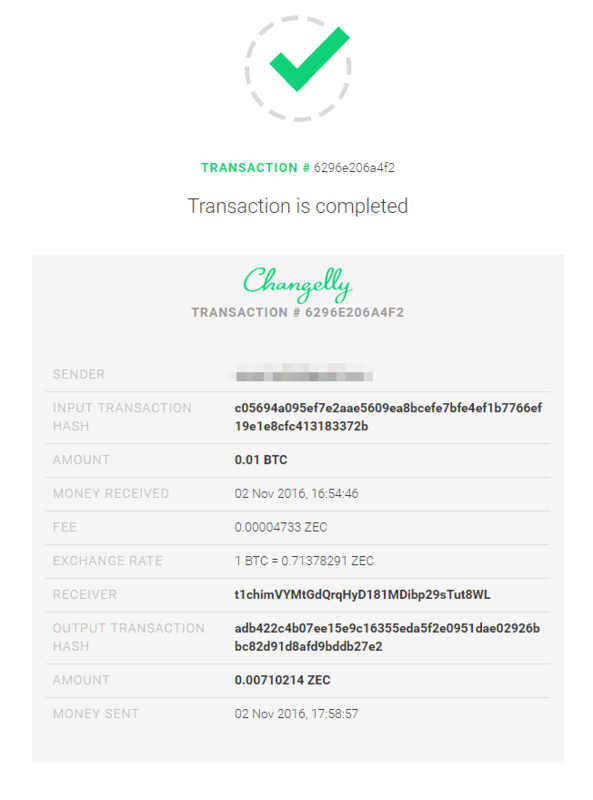 On Changelly, you have to first purchase Bitcoin before you can buy Zcash. 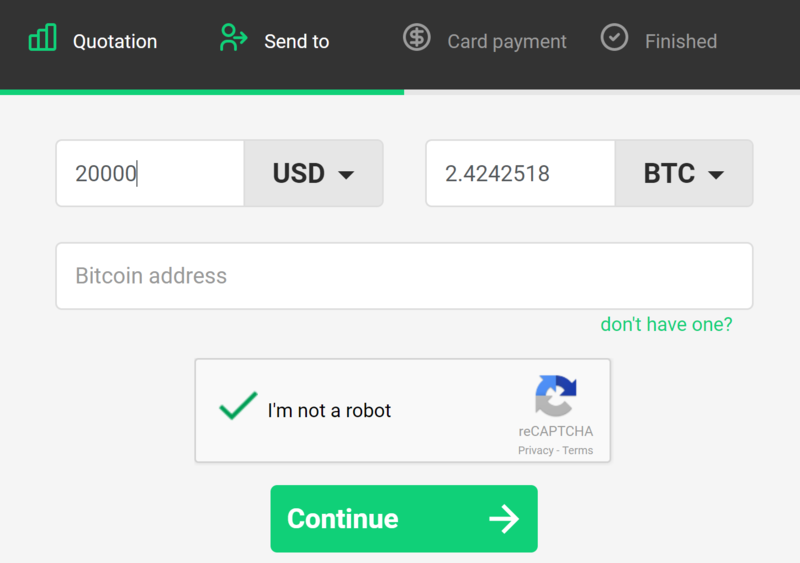 Here’s a quick view of to buy Bitcoin with your credit card using Changelly. The first step is creating an account. Use your Google+, Facebook or Twitter credentials or type in your email address to get started. After you have an account, click the first drop-down box and select USD. Then, click the second drop-down box and select BTC. Next, copy and paste your Bitcoin address into the box and click Continue. In the next step, you’ll provide your billing info. If you’ve never made a purchase through Changelly before, you may have to also submit a picture ID. Once your purchase goes through, your Bitcoin funds will go to your Bitcoin wallet on Freewallet. Go back to Changelly’s main page and type in the amount of Bitcoin (BTC) that you want to exchange for Zcash (ZEC). Check to make the amounts are correct, then click Next. Now, paste in the ZEC address that you created using Freewallet. 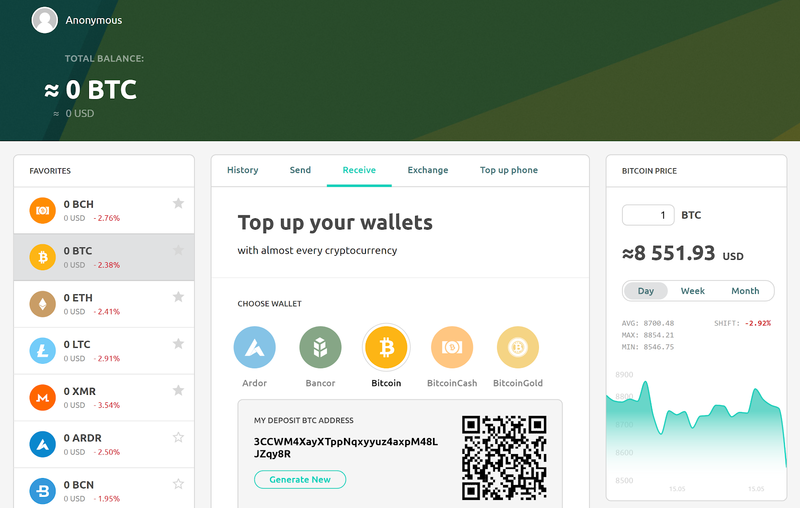 Next, Changelly will show you where to send your Bitcoin. Copy the address to your clipboard by clicking Copy Address. Now you’re ready for the last step. 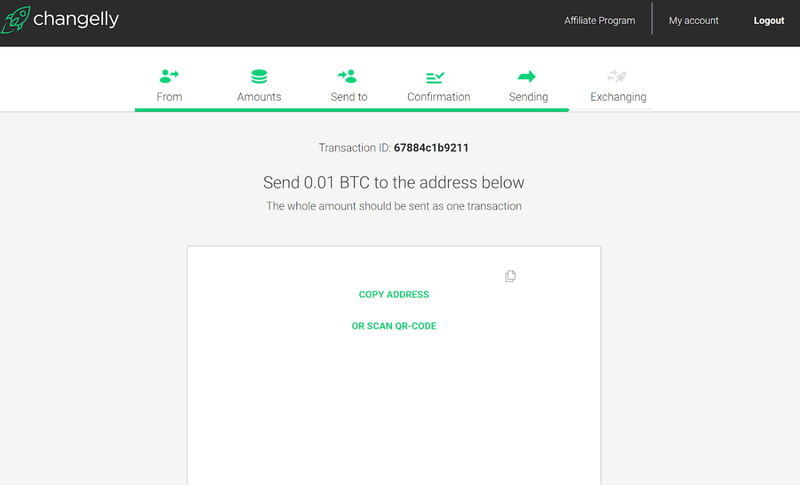 Go back to your Bitcoin wallet and send money to the address that Changelly provided to complete the transaction. Once Changelly executes the trade, your funds will appear in your Zcash wallet. 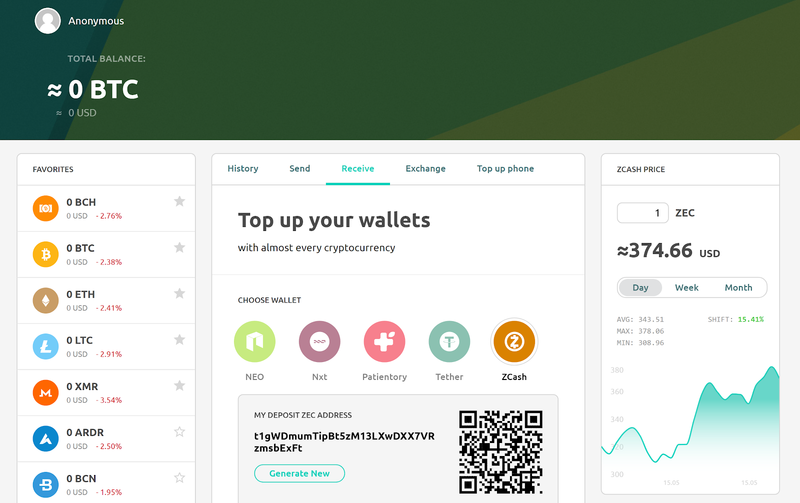 For a detailed look at Changelly, read our full review linked below. As mentioned above, there is more than one way to buy Zcash. In addition to Changelly, several other crypto exchanges support Zcash. Many of those exchanges offer better exchange prices and lower commission fees. However, they are all much more difficult to use compared to Changelly. Also, many are not available or have limited availability in the US. 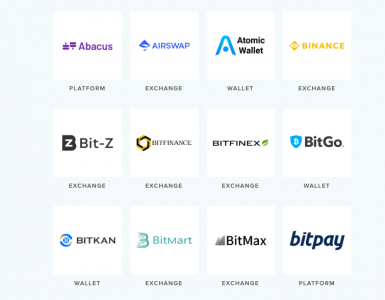 According to the official Zcash blog, all of the following exchanges support Zcash: Allcoin, Alcurex, Bitfinex, Bitlish, Bitnow, Bittrex, Bisq, BTC Alpha, BTER, BX Thailand, Coinexchange, coinBR, Cryptonator, Cryptopia, HitBTC, Kraken, LZF, Poloniex, ShapeShift, SZZC, The Rock, TradeSatoshi, TuxExchange, USD-X, Waterhole, Yobit, Yuanbao and YUNBI. We’ve covered six exchanges that support Zcash here at CoinIQ. Here’s a quick summary of those exchanges. Note: In order to use exchanges that support Zcash, you’ll need to find a way to purchase Bitcoin using your credit card. To find out how to do that, read the guide linked below. Kraken users can exchange Zcash for euros, yen, Bitcoin and US dollars. If you follow cryptocurrency stories in the news, you probably know the name Jesse Powell. The outspoken founder and CEO of Kraken has been involved in cryptocurrency since the early days of Bitcoin. After helping out in the aftermath of the infamous Mt. Gox exchange hack of 2014, Powell realized that the crypto community needed a more reliable exchange. Thus, he set out to found Kraken. Though Kraken is available in many US states, it is not certified to operate in New York. In April of 2018, Kraken listed 10 reasons why it does not intend to apply for New York’s BitLicense certification on its blog. Outside of the US, Kraken is available in Great Britain, the Euro Zone, Canada and Japan. Kraken users can usually deposit and withdraw digital funds within a few hours after they provide their full name, date of birth, country of residence and phone number. 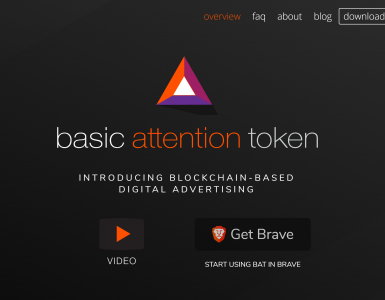 The verification process needed to unlock fiat functionality can take several days. Kraken’s sliding fee schedule varies depending on the currency pair you select as well as how often you trade. For most trade pairs, market makers start off at 0.16% and market takers begin at 0.26%. High volume traders can earn discounts that reduce commission fees all the way down to zero. Click here for Kraken’s full fee schedule. Bisq users can only exchange Zcash with Bitcoin. Unlike most other major crypto exchanges, Bisq operates as a Decentralized Autonomous Organization, or DAO. What that means is that there is no central server where Bisq’s data is stored. Instead, it relies on peer-to-peer technology to facilitate the exchange of financial information. Another interesting thing about Bisq is that you have to download an app to use it. The app opens a Tor network site, which you can use to place trades anonymously. Anyone in the world can begin using Bisq immediately without going through any type of verification process. However, perhaps because Bisq is still new, the Bisq marketplace only contains a limited number of offers at any given time. Bisq applies a rather unusual maker/taker fee schedule to all trades. The main factor that contributes to the fee is the distance to the market price of the order. The higher the distance of the offer is from the market price, the higher the fee will be. This fee system was designed to encourage people to post good offers and to allow Bisq to grow faster when people make more money with it. In addition to the commission fee, each participant of a Bisq trade must pay a 0.001 BTC (roughly $8 USD) arbitration fee. Poloniex users can exchange Zcash for Bitcoin, Ether, Monero and Tether. Poloniex’s main strength is that it lists a large amount of altcoins. Zcash is just one of over 70 altcoins that Poloniex supports. In addition, Poloniex is one of only a few cryptocurrency exchanges that lets its users borrow on margin. In the US, Poloniex is available everywhere except in New York, New Hampshire and Washington. Poloneix uses an automated system to process IDs. However, if that automated system fails for any reason, manual verification could take anywhere from days to weeks to complete. Poloniex offers low base fees and a sliding fee schedule that rewards traders that trade often and move large amounts of money. Commission fees start at 0.1% taker / 0.2% maker. High volume traders can reach fees as low as 0.00% maker / 0.10% taker. 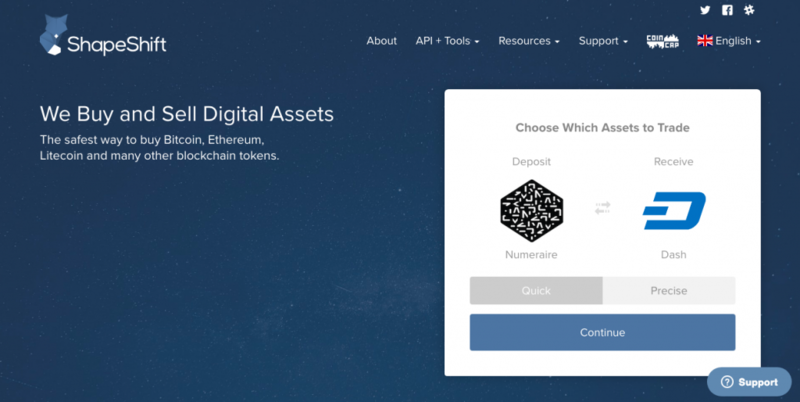 ShapeShift users can exchange Zcash for just about any other cryptocurrency. The main benefit of ShapeShift is that it offers more altcoin-to-altcoin trade pairs than any other cryptocurrency exchange. Most other exchanges either don’t offer altcoins at all or force their users to first buy Bitcoin and then use their Bitcoin funds to purchase altcoins. ShapeShift was hacked in 2016, but the perpetrator was a rogue employee and no customer funds were affected. Other than that, ShapeShift has a clean security record. In the US, anyone can join ShapeShift except residents of New York and Washington state. Outside the US, ShapeShift is available in every country except North Korea. Verification is not required. ShapeShift does not charge commission fees. Instead, like Changelly, it makes money on the spreads between the market rate and the listed rate for cryptocurrencies that ShapeShift offers its customers. Typical trades result in a 0.5% cost according to a ShapeShift knowledge base article. Bittrex users can exchange Zcash for Ether and Tether. Just about every crypto exchange experienced slowdowns in 2017 when a surge in the price of Bitcoin drew hoards of newcomers into cryptocurrency markets. Bittrex may have been hit harder than most as its small staff struggled to keep up with the surge in demand. While Bittrex’s management tried to turned things around, the exchange stopped new registrations. Bittrex resumed new customer registration in April after developing a 100-person support center. Though US residents can sign up for Bittrex, many won’t be allowed to join. Bittrex is currently not licensed to do business in California, Texas or Pennsylvania. New York residents, however, can join because Bittrex was grandfathered into the BitLicense program back in 2015. Outside the US, Bittrex is available in nearly every part of the world except for countries with bad political relationships with the US. Bittrex allows its unverified users to make deposits and withdrawals. Submitting identification documents raises the deposit and withdrawal limits. Unlike most crypto exchanges that offer fee discounts to frequent traders, Bittrex charges a flat 25-basis point fee on all trades regardless of its customers’ trading volume. Bitfinex users can exchange Zcash for Bitcoin and US dollars. Despite the fact that Bitfinex is one of the world’s oldest and largest exchanges, many questions surround its past. For example, very little is known about the people who founded Bitfinex. In addition, US authorities are currently investigating the exchange and its cryptocurrency, Tether. Despite all these problems and a high profile hack that occurred in 2016, Bitfinex cryptocurrency traders have few other options for trading on margin and placing over-the-counter trades. Bitfinex does not operate in the US. However, it does accept corporate customers that are based in the United States. Residents of every other country in the world can join Bitfinex. 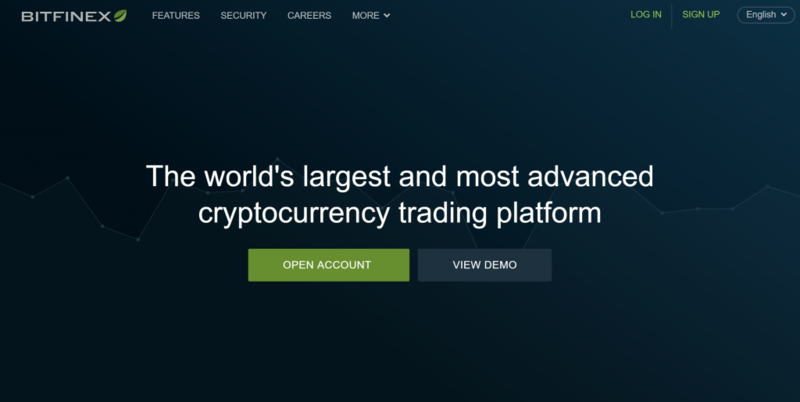 All Bitfinex users must submit identification to withdraw or deposit fiat funds, but the exchange lets its unverified users trade cryptocurrencies. Bitfinex’s sliding commission fee structure begins at 0.1% maker / 0.2% taker and goes all the way down to zero. Even though Changelly charges high fees, it’s probably the best route to take if you want to buy a small amount of Zcash with your credit card. Otherwise, Kraken is a good choice because it has good availability, low fees, a solid security record and supports a number of important altcoins in addition to Zcash.